From September 13 to 15, Yin Yeung Express celebrates the cuisine of Hong Kong's 'dai pai dong' open air stalls, and the ubiquitous Hong Kong style cafe. Hosted by In the House Festival, Ken Tsui (Chinatown Night Market) and Kevin Chong (My Year of the Racehorse), the event pairs up with story-telling by Ricepaper Magazine (September 13), Raincity Chronicles (September 14), and Kevin Chong himself (September 15). We caught up with Kevin to discuss. Hong Kong style cafes are difficult to explain to anyone that didn't grow up with them. The dishes often sound terrible on paper (eg. spam and macaroni soup), the decor often bare bones...and yet they are institutions in their own right. Why do you think they enjoy the popularity they do? There's another scene in which they eat steak with borscht. I love the formality and stiffness of those scenes, and how these western-style eateries seemed so smart (as in stylish) at the time. For some people who like this food, it's about nostalgia. You went to these places as a kid. Macaroni in soup never felt weird to me growing up. It was only later, with my non-Chinese friends, that it's oddness, or in-authenticity, was impressed on me. Personally, this event is partly about trying to reconcile my own complicated nostalgia with my more newfound appreciation for fine dining that challenges the idea of authentic cooking. Don't get me wrong: not everyone eats to remember. 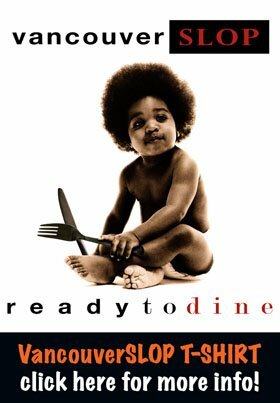 I live in Riley Park, only a few blocks from more upscale versions of the diners I went to as a kid. These places are nicer than Goldstones or New Town Bakery. For a lot of Hong Kong Chinese, I think the informality and variety of the cooking is what's appealing. You have dishes that are "Western" and pan-Asian like curry beef and Singapore noodles (which you can't really get in Singapore), but your palate doesn't need to be that adventurous. Where does the Hong Kong style cafe sit in the larger Vancouver experience? They're still a fixture in Chinatown and other parts of the city with Chinese populations and have been for decades, but I don't think many non-Chinese really know about them. Chinese food is dim sum at Sun Sui Wah or a banquet meal at Floata. We also live in a city that boasts JapaDog and Vij's, but is very suspect of Chinese food that isn't made for and by recent immigrants from Asia. This kind of food shows you that "fusion" cooking isn't necessarily a yuppie marketing tool. Take us through your typical Hong Kong style cafe experience. What do you order? What's the occasion? I must admit that I don't get out to Hong Kong diner food too often. I usually eat it as leftover take-out when I'm visiting my parents' house. Sometimes I make my own version at home. As a teenager, my mom would make ramen with a fried egg and slice of Spam, so now I do that for lunch (without the pre-drinking). I'm proud to say I introduced Spam into the diet of my partner's nine-year-old. 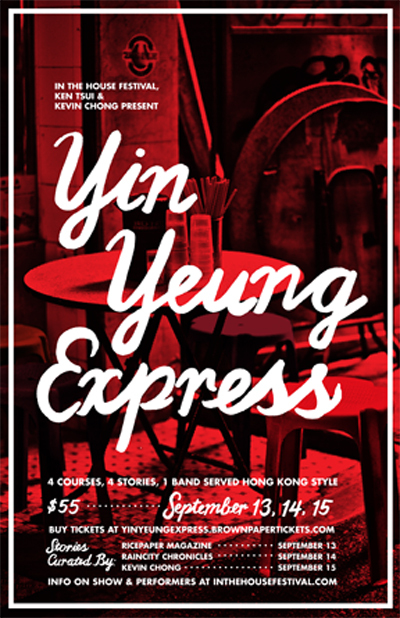 Tickets to Yin Yeung Express ($55) are available here, and get you 4 courses, stories, and good times. Kolkata Railway will release RRB Kolkata Group D result on official railway website. Kolkata Railway Group D Cutoff mark is also announced. The RRB Kolkata Railways Group D exams got over. Over 2 Crore candidates are written the exam. The most awaited RRB Kolkata Group D CBT1 Results 2018 will be released soon. The candidates who are all wrote RRB Group D CBT1 for the Indian Railway Helper, Gateman, Trackman, Porter, Track Maintainer, Pointsman and Hospital Attendant recruitment can only able to download Kolkata RRB Group D result Selection list pdf.